Melvin Feller is known as “The Entrepreneur’s Mentor” because Melvin walks his talk. Melvin Feller has been there and done that and more importantly, Melvin Feller knows how to transfer the skill set for success. This is main reason that he has been the sought after coach to hundreds of small business owners, entrepreneurs, Realtors, Real estate investors and service professional internationally. Melvin Feller’s main talent is to show you how the step by step process to build and enjoy a successful 6-figure plus business while having a balanced life. Melvin Feller maintains an office in Texas. Melvin Feller is currently pursuing another graduate degree as an MBA. Potential entrepreneurs: These are persons who see opportunities in their areas, believe they have the abilities and resources to start businesses to pursue those opportunities and who are not deterred by fear of failure in pursuing those opportunities. The level of broader societal support for entrepreneurship is also important at this phase. The GEM survey uses a variety of measures of entrepreneurial perceptions, intentions and societal attitudes including perceived opportunities, perceived capabilities, fear of failure, entrepreneurial intentions, entrepreneurship as a “good career choice” high status to successful entrepreneurs and media attention for entrepreneurship. Expected entrepreneurs: Expected entrepreneurs are those persons who have not yet started a business but who have expressed an expectation that they would start a business within the next three years. Nascent entrepreneurs: This phase covers the first three months after the entrepreneur establishes a new business to pursue the identified opportunities. New business owners: These are persons who have successfully emerged from the nascent phase and have been in business more than three months but less than three and one-half years. Two other popular methods for classifying entrepreneurs are the distinctions that have been made between “push” and “pull” entrepreneurs and the distinctions between “necessity-based” and “opportunity-based” entrepreneurs. Others, when analyzing conditions in transition economies, have distinguished between “proprietorship”, which includes situations where individuals start their own businesses to generate income to sustain their families when no other options are available, and “genuine entrepreneurship”, which is a term that describes situations where individuals start businesses with the goal of generating sufficient income so that a portion of it can be reinvested in order to underwrite business growth and development. A number of researchers have focused on the existence and influence of “push/pull situational factors” in motivating individuals to engage in entrepreneurial activities and the factors identified have included the frustration of the entrepreneur with his or her current lifestyle, childhood influences, family environment, age, education, work history, role models and support networks. In many instances, entrepreneurs may be literally “pushed” into entrepreneurship, often against their wishes, by unanticipated and unwelcome lifecycle developments such as loss of employment, extreme dissatisfaction with a current job and other career setbacks. Unfortunately, these entrepreneurs are frequently viewed in a somewhat negative fashion by society—“misfits” or “rejects”. On the other hand, entrepreneurs may be “pulled” into creating a new venture by factors viewed more positively in most societies including training and exposure to business that creates interest and confidence in looking for new opportunities to exploit. Some researchers have viewed either a “push” or a “pull” as a prerequisite to new venture formation since it triggers a state of general readiness to take action once a suitable opportunity and the necessary resources can be identified. The terms “opportunity-based” and “necessity-based” entrepreneurship have been popularized by their use in the GEM. The questions asked of entrepreneurs included seeking information about why they decided to start and grow their businesses. Respondents who indicated that they chose entrepreneurship to “take advantage of a business opportunity” or “seek better opportunities” were practicing opportunity-based entrepreneurship while respondents starting businesses “because [they had] no better choices for work” were identified as necessity-based entrepreneurs. The key characteristic among opportunity-based entrepreneurs is their acknowledgement that they made a voluntary career choice to pursue an entrepreneurial path. The GEM also recognizes another type of entrepreneurship, referred to as “improvement-driven”, that includes persons interested in pursuing an opportunity and who do so in order to improve their incomes and/or independence in their work, as opposed to “necessity”. The research confirms that it is more likely than not that persons start a new business in order to take advantage of a perceived business opportunity, so-called “opportunity entrepreneurship”; however, the existence of “necessity entrepreneurship” must be acknowledged and considered when researching entrepreneurship. It is not surprising to find that there are differences among countries, particularly groups of countries with similar cultural characteristics, with regard to the prevalence of specific types of entrepreneurs. For example, differences between countries with respect to the incidence of entrepreneurial activity have been attributed to differences in “risk tolerance” since there are significant variations among countries with respect to the level of risk (and possibility of failure) that persons are willing to assume before they start a new business. Even within countries, however, variations in the incidence of entrepreneurial activity can be seen when one looks at different characteristics such as age, education, industry and location. Several studies have confirmed what would appear to be fairly obvious: necessity-based entrepreneurship in a country tends to decline as the level of economic development in that country increases and the overall business environment in the country stabilizes. In addition, one sees lower levels of necessity-based entrepreneurship in “innovation-driven countries”. entrepreneur and the growth realized by the entrepreneurial activity, at least when the relevant measure is employment growth; however, when reporting their results the researchers have also cautioned that the entrepreneur’s intention to grow, while relevant, is not the only factor that influences the performance of the entrepreneurial activities and that one needs to take into account other factors such as the availability of resources. A number of researchers using data from the GEM have found that while necessity-based entrepreneurs create jobs for themselves, they generally do not contribute to economic growth and, in fact, one scholar looking at the research work in the area has concluded that “[i]n general, studies based on GEM data (citations omitted) tend to view so-called necessity entrepreneurship as a more negative factor as far as national growth and development are concerned”. On the other hand, different studies have concluded that the initial reasons for launching a new business are not reliable indicators of whether the business will survive and, if it does, the size and/or rate of growth of the business. 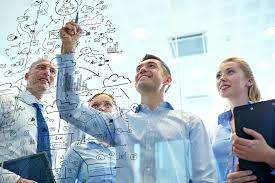 Those studies emphasize that the likelihood of success for an entrepreneur will be impacted by a number of other factors apart from the reasons for launching a new business such as the availability of capital and skilled personnel, governmental policies and the communications and transportation infrastructure. Welter acknowledged the utility of a dichotomy of concepts pertaining to the motivations for entrepreneurship such as “push/pull” and “opportunity” versus “necessity” entrepreneurship and the concepts of “productive” and “unproductive” entrepreneurship; however, he argued that one should avoid categorizing or otherwise describing ventures once and for all into a single category into order to assess their contribution to economic development at the macro level. According to Welter, entrepreneurship must be seen as a “dynamic phenomenon” which is fluid and individual entrepreneurs bring their own previous experience and other antecedent influences to the process of launching a new business. As such, it can be expected that the motivations, behaviors and contributions of an entrepreneur may change over time. For example, a person may begin down the path of entrepreneurship driven primarily by the desire to simply “survive”, even though he or she may harbor personal ambitions and strategies to pursue “genuine” entrepreneurship at some point in the future once the immediate basic needs for self and family have been meant. In the same vein, temporary “unproductive” behavior, such as acting informally for a time to evade legal and tax requirements that would make it too difficult to launch the business at all, may eventually give way to a “productive” venture that makes a substantial contribution to job creation and tax revenues for the state. Welter pressed for recognition that a multitude of motivations and entrepreneurial behaviors may exist over the life of a particular venture and that the productivity of a particular venture should be measured by taking into account both output and behavior. for the process of creating a new venture which included four stages (conception, gestation, infancy and adolescence) and the three transitions between those stages. In Wagner’s words: “The first transition begins when one or more persons start to commit time and resources to founding a new firm. If they do so on their own, and if the new venture can be considered as an independent start-up, they are called nascent entrepreneurs. The second transition occurs when the gestation process is complete, and when the new venture either starts as an operating business, or when the nascent entrepreneurs abandon their effort and a stillborn happens. The third transition is the passage from infancy to adolescence–the fledgling new firm’s successful shift to an established new firm.” Wagner’s view was that nascent entrepreneurs were important due to their roles as the main actors in the first two stages and transitions of the new venture creation process and that he was not, at least for purposes of that particular analysis, interested in what happened to businesses that were formed after the second transition or in persons who had gone through the first two stages and transitions because they preferred being self-employed over being an employee but were not that interested in trying to start and own a whole new business (i.e., persons commonly referred to as “latent entrepreneurs”). Wagner’s paper covered several fundamental questions about nascent entrepreneurship, collecting and analyzing data from various sources on each of the questions: how many nascent entrepreneurs are there, around the world; what do nascent entrepreneurs do; who are the nascent entrepreneurs; what makes a nascent entrepreneur; and what happens to nascent entrepreneurs and why? He noted that information on these questions had improved substantially with the launch and development of the GEM, which incorporates reliable information on the prevalence of nascent entrepreneurship in a large number of countries; however, he felt that much work still needed to be done in order to understand the substantial differences between countries with respect to the percentage of adults engaged in nascent entrepreneurship and understand why people decide to become nascent entrepreneurs, what activities they engage in once they do and what factors are most important in helping them push forward into the later stages of the new venture creation process. Round 2 begins tonight with a pair of matchups as the quest for the Stanley Cup rolls on. Days Gone may just be another zombie game, but is it any good? It might very well have been, if it was not let down by some odd design decisions.